Everyone will want to try this! Walk on the water inside a giant transparent ball in complete safety. A fun acrobatic water sport that everyone must try! 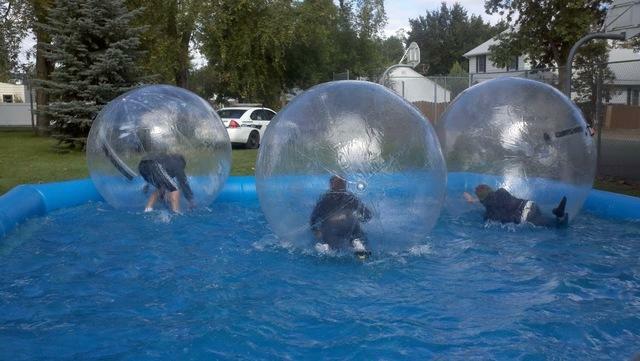 Water sphere’s are the perfect water walking device. A cool transparent device that allows the rider inside the bubble ball to finally walk on the water, and even better you don’t get wet while doing it . Includes a 25ft x 25ft splash pool & two Water Walking Balls. Your guests will have a blast.